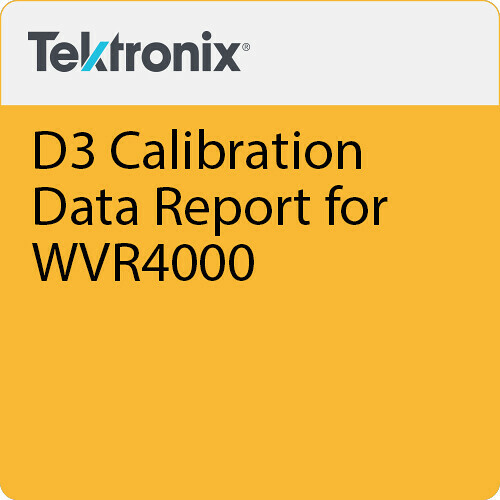 The D3 Calibration Data Report for WVR4000 from Tektronix is a service option available for the WVR4000 test instrument. This item provides a hard-copy report that details calibration services performed on your equipment. Please note that this particular report covers a period of (D3) years and must be ordered in conjunction with the CD3 calibration service.